“What would it look like--for the first time ever--to create a workplace designed for women, for the specific professional, social, cultural, economic, and family challenges they face, from the ground up?” On the evening of January 27th, women professionals gathered at Prodigy coffee to find out. It was the soft launch for the city’s newest co-working space, Women in Kind. Co-working is a buzzword of the moment, with spaces like WeWork and Shift popping up in some of the best real estate in town. Women in Kind, or WinK as it is affectionately called, isn’t your typical co-working space with a ping pong table and kegerator. This is a co-working space created especially for women to give them the tools and resources they need to succeed both in work and in life. It is founded by women, funded by women and designed by women. Open, bright, warm, and inviting. 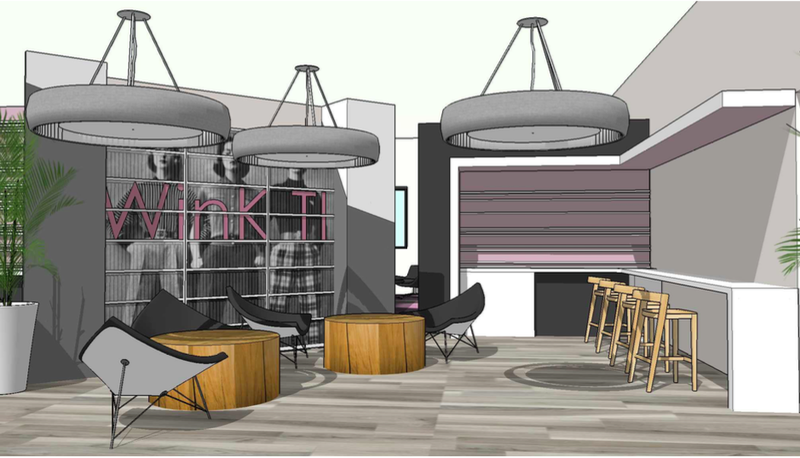 Renderings of the work space reveal thoughtful design. The space boasts a long list of amenities including concierge services for laundry, meal planning and delivery, help finding childcare, elder care resources, and personal assistants. Women in Kind features play spaces for those days when women don't have childcare but still need to work. “Women in Kind’s goal is to help women succeed professionally by valuing who women are. That means seeing the many challenges women face at home and at work, removing obstacles for women, and taking responsibilities off the shoulders of individual women by addressing those responsibilities in a systemic and structured way within the workplace,” said co-founder, Dr. Virginia Santy, who is also The Broadview Denver’s Editor in Chief. Santy and her co-founder, Melanie Ulle, are successful entrepreneurs who were tired of working in environments built on the antiquated mindset of servicing the needs of men. They each recount comical but disheartening stories of shivering through offices that were too cold, struggling to find time to pack their children’s lunch boxes, battling against bro culture and feeling immense pressure as modern day working moms. On the night of the soft launch, the founders were flanked by successful business women in a room filled with working women who internalized their message and rallied behind their vision. Mina McCullom, Chief Executive Officer and President of SynEnergy, Kristen Blessman, President and CEO at the Colorado Women's Chamber of Commerce, and Gloria Schoch of Community Affairs Management at MillerCoors each contributed to the program, sharing anecdotes and expressing excitement for a workplace that values women. The workplace has changed but the physical and social confines of offices have not. Today, women make up 47% of the workforce. Seventy percent of mothers with children under the age of 18 work, with 75% of them holding full-time jobs. As a working woman it is refreshing to be encouraged and empowered to have a thriving life outside of work. Women in Kind takes it one step farther by actually providing the resources women need to succeed. The idea of working in an environment that supports all aspects of life and the real challenges women face is unconventional but so needed. Woman in Kind is a space for collaboration, where being a woman is celebrated, not ignored, and this openness and support will undoubtedly lead to more women-lead businesses and accomplishments in our community. On August 1st, Women in Kind, Denver's first full-service co-working community for women, will open its doors to the community. Visit their website for more information.